Recently we have successfully delivered a rain water harvesting project for MHT SEWA in Jaipur, Rajasthan. 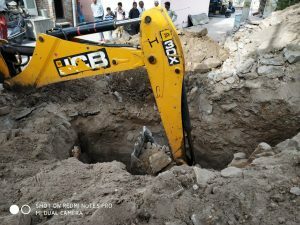 Mission of the project was to combine roof harvesting and ground water recharge such that once the monsoon is started, most of the valuable water is captured and stored in the underground for future usage. 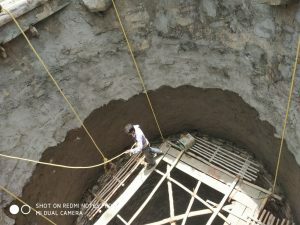 For recharging a dug well had to be re-established by a team of constructors. Just before the arrival of the monsoon in 2018 we were able to finalize the project and handed the results over to our client.